Perfect necklace for anyone running Disney marathon. 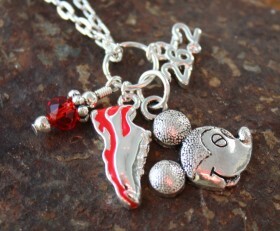 Mickey Mouse charm, 26.2 and running shoe charm with Swarovski crystal. You work hard so you should wear the bling!